A full and fair description of our programs and our financial statement summary is available upon request at 1-800-436-7442. INFORMATION FILED WITH THE ATTORNEY GENERAL CONCERNING THIS CHARITABLE SOLICITATION AND THE PERCENTAGE OF CONTRIBUTIONS RECEIVED BY THE CHARITY DURING THE LAST REPORTING PERIOD THAT WERE DEDICATED TO THE CHARITABLE PURPOSE MAY BE OBTAINED FROM THE ATTORNEY GENERAL OF THE STATE OF NEW JERSEY BY CALLING (973) 504-6215 AND IS AVAILABLE ON THE INTERNET AT www.state.nj.us/lps/ca/charfrm.htm. REGISTRATION WITH THE ATTORNEY GENERAL DOES NOT IMPLY ENDORSEMENT. 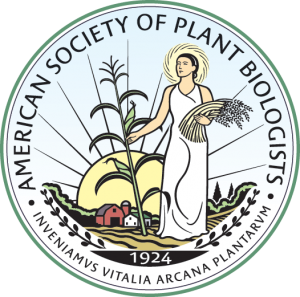 The official registration and financial information of American Society of Plant Biologists may be obtained from the Pennsylvania Department of State by calling toll-free, within Pennsylvania, 1-800-732-0999.